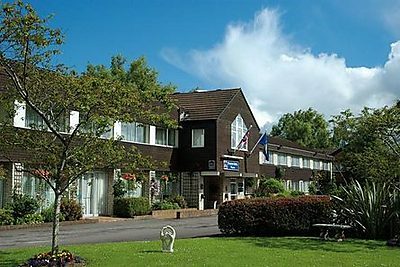 Located in the heart of Devon just 10 mins from J27 of the M5 and close to both Taunton & Exeter, our hotel sits within two and a half acres of mature gardens, with ample free parking. These rooms feature kingsize beds, purpose built writing desks, rainfall showers and flat screen TV's with iPod docking stations.The majority are double rooms although we do have some twin superior rooms. Good standard twin rooms, spacious and many located on the ground floor, these popular rooms feature flat screen TV's, iPod docking stations and coutesy tea and coffee tray's. Our Gallery Restaurant is light and modern, with classic art on the walls and modern, locally produced menus on the tables! Light snacks, specialist and free trade coffees are available in our Gallery Bar. 10 minutes from M5 (J27) on A361 link road signpost Tiverton. Airports: Exeter International Airport 20 miles, Bristol 45 miles. Railway: Tiverton Parkway 7 miles.